ReadRiggedGeo is a Nuke node for loading skeleton-based deformable models and manipulating skeletal animation. It allows to animate rigged geometry and load bone-based animations. The geometry is fully integrated with Nuke. That means it can be used with default Nuke nodes such as TransformGeo, Normals, ApplyMaterial, ScanlineRender and others. Free — no license required! The main goal of ReadRiggedGeo node is to integrate rigged geometry into Nuke. With ReadRiggedGeo you may load, modify and transform a rigged geometry using default Nuke nodes as simple as you do with rigid geometry and ReadGeo. ReadRiggedGeo loads and stores bone transformations in a table. The node allows to modify, animate, link the transformations as well as to set expressions for them. ReadRiggedGeo deforms the geometry according to this transformations in each frame. 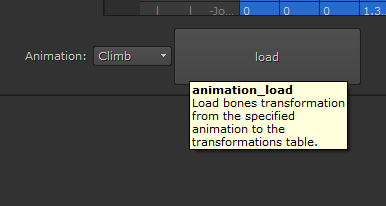 It’s also possible to load a bone-based animation. 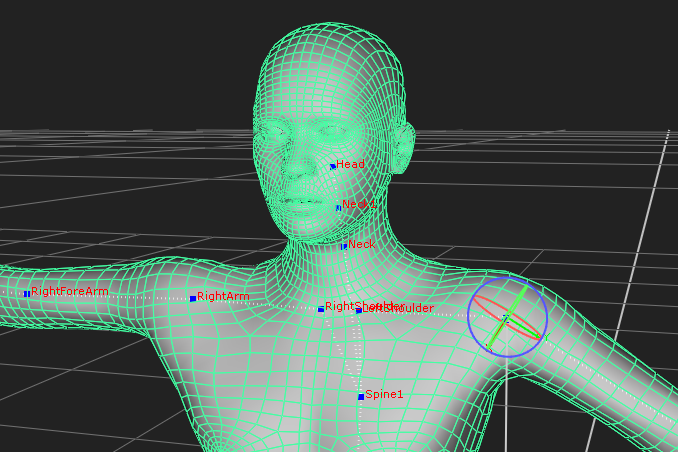 In addition to modifying bone transformations right in the transformations table it is possible to modify them in viewer using Nuke’s Axis tool.